Looking for a boxty recipe? 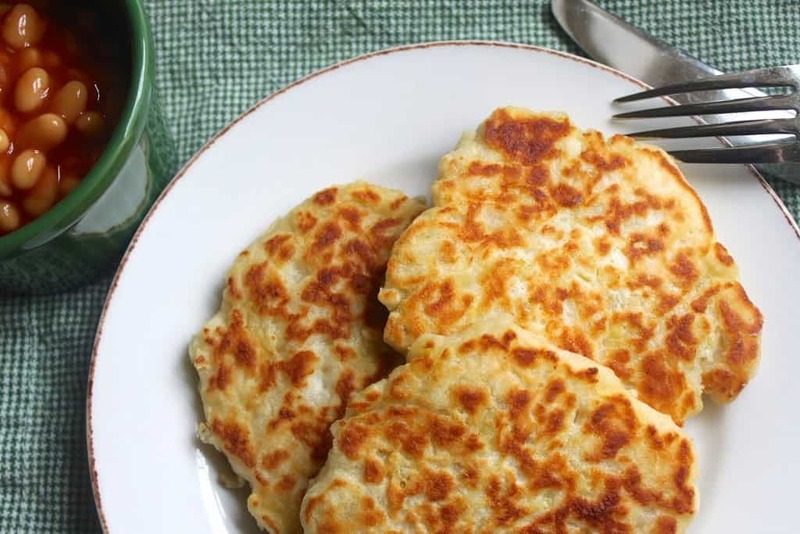 Traditional Irish Boxty are the holy grail of pancakes for potato lovers! Combining mashed and raw potato with buttermilk makes a dreamy, yet simple meal. Also called Irish Potato Cakes, they are often made for St. Patrick’s Day, here in the US. I think we need to adopt Ireland’s way of making them all year round! If you’ve never tasted an Irish Boxty, you are in for a treat. This boxty recipe is simple and truly delicious. They really are the best ever potato pancakes, in my humble opinion! When I visited Dublin a few years ago, I saw these on pub and restaurant menus, and couldn’t believe how expensive they were. Especially given the fact that this is one of the least expensive (but tastiest) meals you can make at home. I bet there will be no complaints from anyone, even the pickiest of your family members! 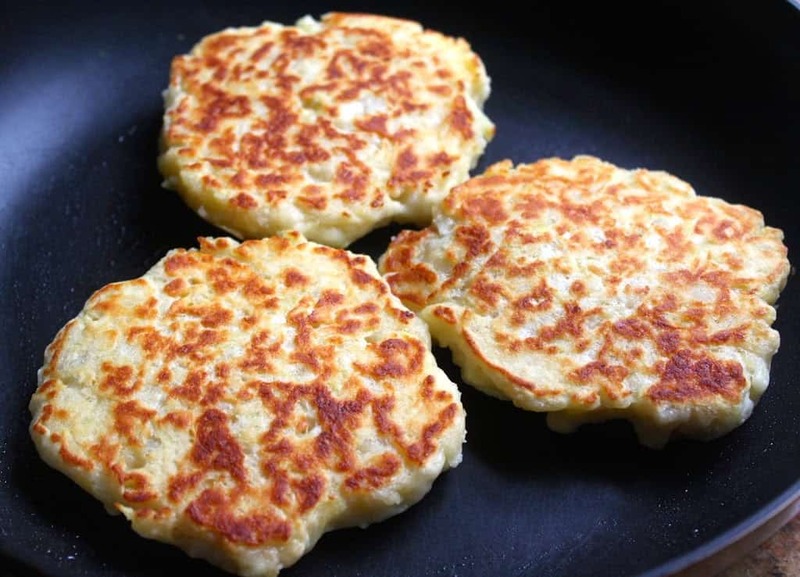 An Irish boxty is a potato pancake made from mashed potatoes and grated raw potato. 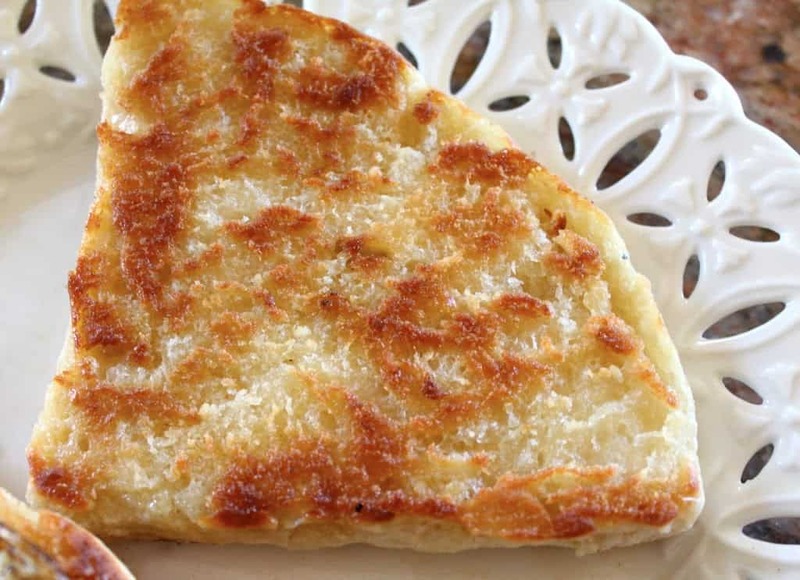 It’s like a potato scone and a hash brown/latke type pancake had a baby; what’s not to love? Serve these Irish potato pancakes in the morning with eggs and bacon for a lovely breakfast or brunch, or add a salad for lunch. The contemporary way of serving them includes using them as one would a tortilla or flatbread. 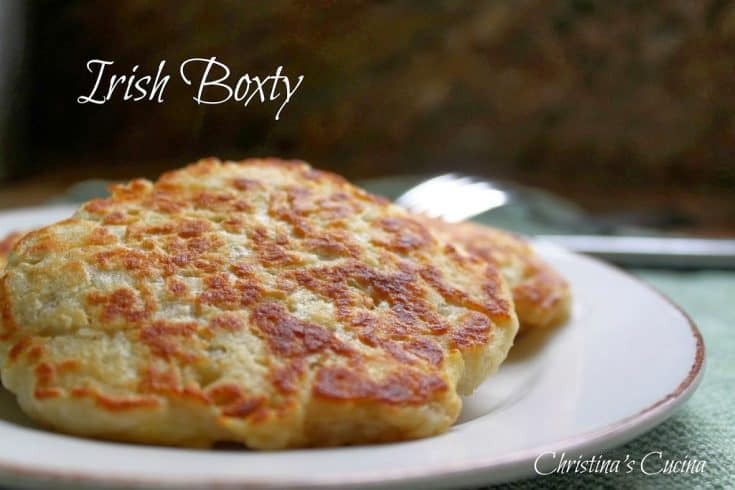 Just fill the Irish boxty and serve them like a “wrap” type entree. My favorite way to eat them is as part of a British breakfast. However, I’ve also made miniature Irish boxty and served them as a luxurious appetizer! They’re so versatile. 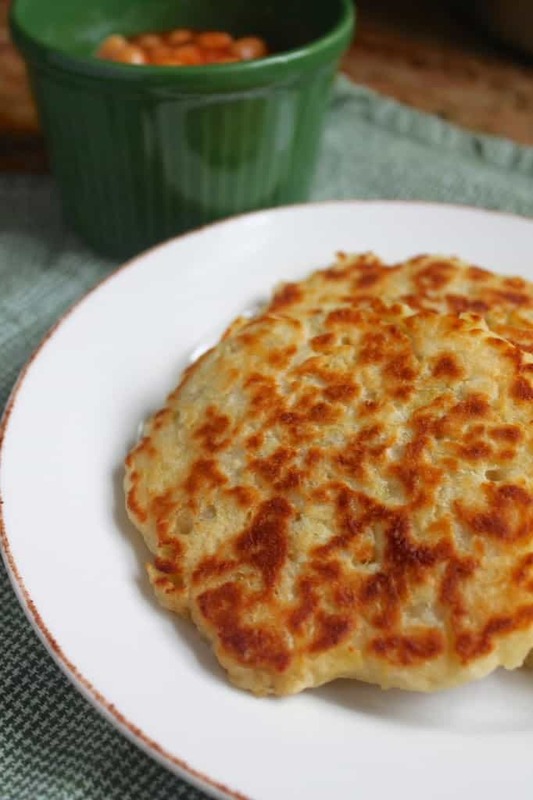 Furthermore, you can add this Irish Boxty recipe to your list of Irish foods to make when St. Patrick’s day arrives! A combination or raw and cooked potato is what sets boxty apart from other types of potato pancakes or scones. Once the batter is mixed, they are cooked on a pan or griddle as normal pancakes. Just follow the step by step directions below for perfect results. This boxty recipe will give you the results you want. In a small bowl, place the flour, baking powder and salt; set aside. 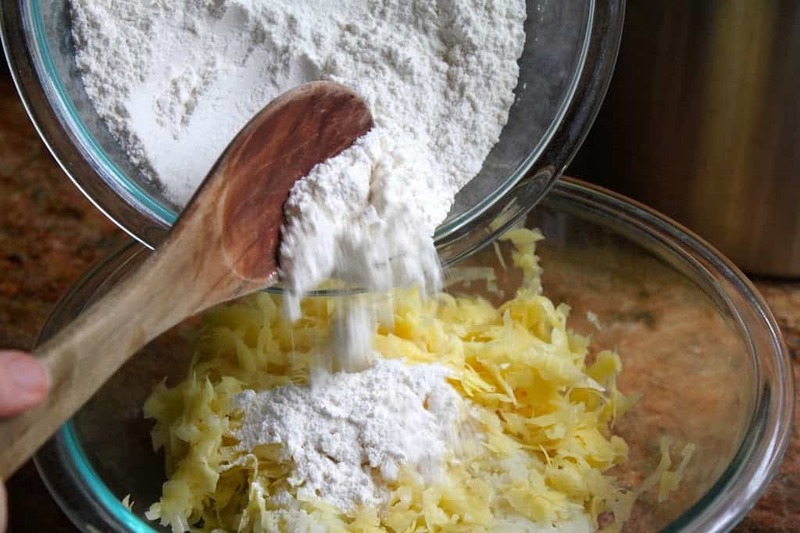 Using a large mixing bowl, combine the mashed potatoes with the grated raw potato, then add the flour and mix well. Next, slowly add the buttermilk and stir gently (do not over mix). 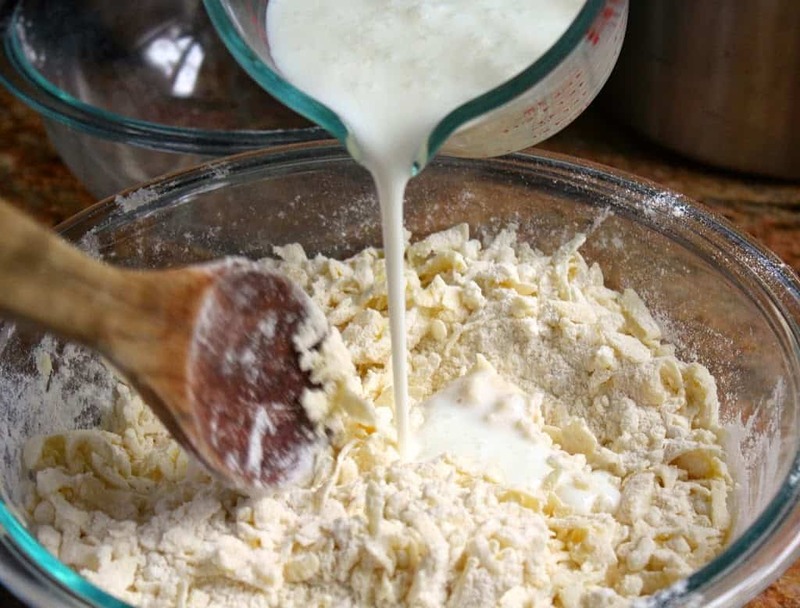 The mixture should be like a very firm, thick batter; almost like a dough, so add more buttermilk if needed (I just used 1 cup or 8 oz). 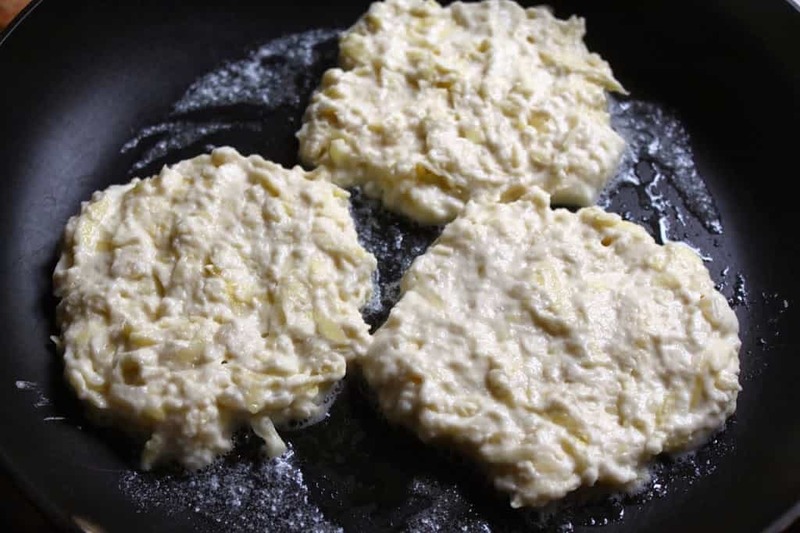 Heat a nonstick frying pan or cast iron pan over medium-high heat, and add a pat of butter, just before scooping out some of the boxy batter onto the pan. You are now cooking Irish potato cakes! Flatten and shape into a nice, round pancake shape and fry until golden brown on the bottom. Turn the boxty and continue to cook until golden brown on top, too. 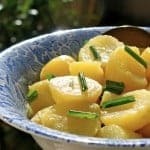 Consequently, turn the heat down if they are browning too quickly (remember there is raw potatoes which need to cook). Continue to add a little butter and fry the boxty until all the batter is finished. Serve the traditional Irish boxty hot, as desired, with or without toppings. Don’t miss another post, sign up for my free subscription at the bottom of this post. 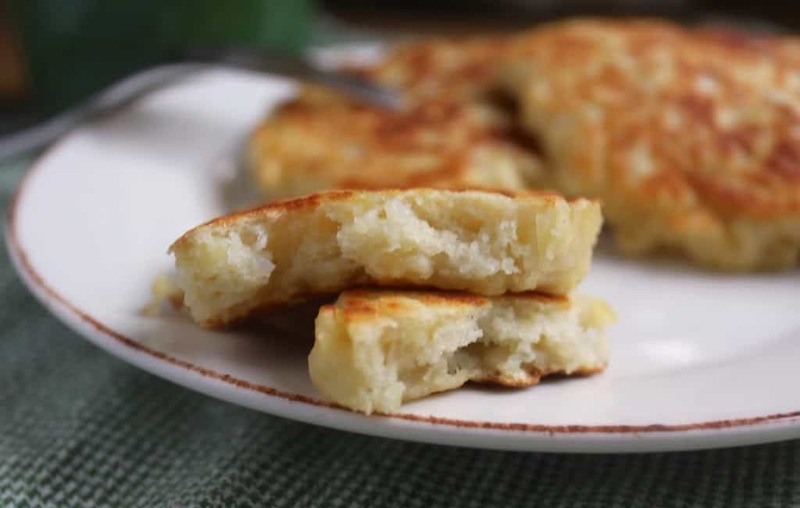 A wonderful and hearty Irish potato pancake recipe. 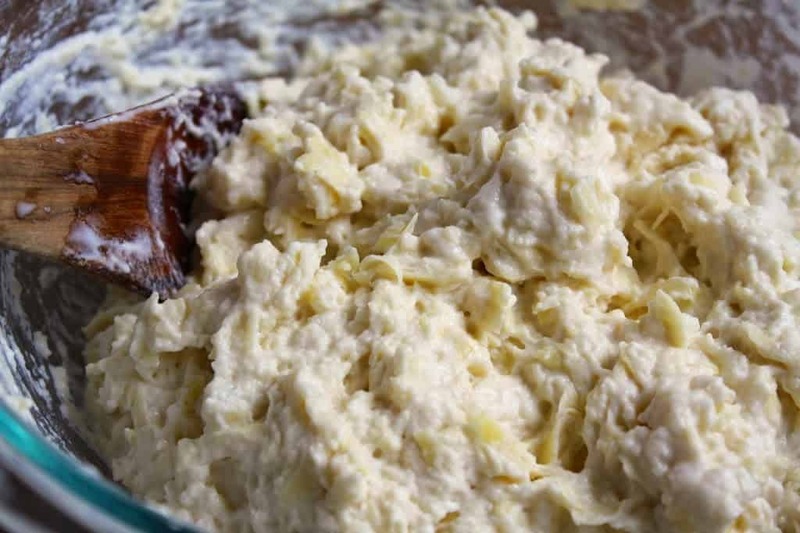 In a large mixing bowl, combine the mashed potatoes with the grated raw potato, then add the flour and mix well. Slowly add the buttermilk and stir gently (do not over mix). The mixture should be like a very firm, thick batter; almost like a dough, so add more buttermilk if needed (I just used 1 cup/8 oz). Heat a nonstick frying pan over medium-high heat, and add a pat of butter, just before scooping out some of the boxy batter onto the pan. Turn and continue to cook until golden brown on top too, turning the heat down if they are browning too quickly (remember there is raw potatoes which need to cook). Continue to add a little butter and fry the boxy until all the batter is finished. Serve hot. Christina, iI made these, but with a different recipe,. It did not use baking powder so they were very flat and gooey. The recipe called for Yukon Golds and I think that is part of the gooey problem. They were cooked about 4 minutes on each side and were nicely browned. What potatoes do you use ? Hi Patti, sorry to hear that. I hate when recipes go awry. I honestly don’t think the Golds were the problem as I think I’ve made these with Yukon Gold as well as Russets. Maybe try this recipe and see if you get good results? Should be perfect! Let me know! I’ll be honest I didn’t read all the comments, so apologies if you’ve covered this. . . When you say 1 cup mashed potatoes, boiled in salt water is that just boiled potatoes that are mashed, or I cup of “leftover” mashed potatoes with everything that might be added to them? Thanks, this is going to be part of Sunday dinner with a roast chicken. My best friend said, do something interesting/different with potatoes & this looks like a winner. Wonderful! Let me know what you think! On a visit to Ireland, I was taken to Gallagher‘s Boxty House in Dublin for a delightful meal! I’m so happy to have found this recipe. Thanks! That’s lovely, Laura! I do love to taste the local fare wherever I travel. 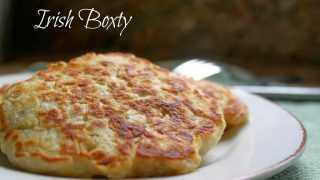 Enjoy the boxty, and let me know how they stack up against the authentic version! Made these last night for the first time. This recipe made 9 five inch round boxties that were about 3/4 inch thick. Loved them and plan to make them every St. Patty’s (even though my husband has asked for them more frequently). I’ve made these for a few years now and this year my family complained. After reviewing other recipes, I know why….this recipe calls for way too much flour. Most of the other recipes call for 1/3cup or less to the same amount of potatoes, not 2 cups. I find it strange that you’ve made the same recipe year after year with no review on using my recipe, and all of a sudden your family complains and you come here to leave a bad review? If you ask me, something’s rotten in Denmark. Sorry if I missed this somewhere in the post. About how many boxty does this make? I want to make them for my daughter’s school St. Patrick’s Day party and infuse a little authentic Irish cuisine in with all that green stuff they’ll be eating 😁. I recently made this. I made 3 rather large (10” diameter roughly) Boxtys and had some leftover batter for probably a 4th large one. If you make small-sized ones like that in the pic, I’m sure you can squeeze out 8-10. I live in South Africa, and we do not have all-purpose flour here; can I use self-raising flour or cake flour in this recipe; and if so, what would the measurements be? Hi Tanya, I’m almost positive you’d have an equivalent to all-purpose. What is your most “normal” flour that isn’t cake or self-raising? That is what you’d want to use. If you truly don’t have it, use self raising and omit the baking powder. Enjoy! Unfortunately, we only have cake flour, bread flour and self-raising flour. I will try it with self-raising flour. You can omit the baking powder.The reason the baking powder is used alongside the buttermilk is they both react with each other to help them rise. Self-rising flour already has the baking powder in it. I noted that in my first response. Love this. My Mom’s side of the family is Irish so I always love seeing amazing recipes like this. I love Irish boxty! The combination of mashed and grated potatoes really yields such a great texture. It’s been forever since I’ve had these and that needs to change. Yours look perfect! My family has an Irish background. My mom would purposefully make too many mashed potatoes using butter and milk so she could make potato pancakes with the leftovers! She would just add a little flour to it and then fry it! Being from the US we of course as kids are ours with ketchup! 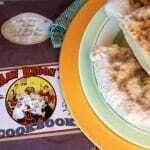 My Dad, an Irishman, used to make Potato Cakes for us kids for Sunday Nights tea (that’s all he could cook!). We loved them, except we hated having to peel them after they were cooked. 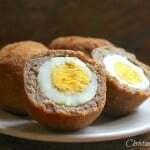 My Dad used to make them with just Potato, butter, salt, Flour (only about 1/2 cup, they were mostly potato) and a little bit of Baking Powder. He would form them into cakes about 1″ thick. After they cooked, dry, on top of the stove we would then split them in half and slather them with homemade butter. They were wonderful hot with the butter running down your chin! One was enough even for the greediest kid. I’ve never had boxty before, but what’s not to like? Interesting that it uses buttermilk, and both grated and mashed potatoes. I need to try this! with butter, hot off the pan. I now toss in some fried onions too. Delicious and they really fill you up. 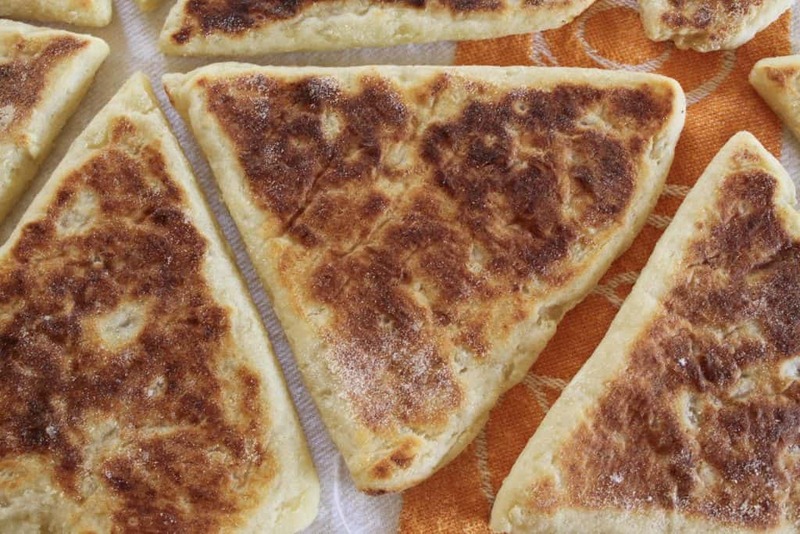 Just as an aside, Boxty cakes are a Northern Irish dish, I grew up in Southern Ireland and we didn’t eat them, in fact I never even heard of them till I moved back to England! I actually grew up in Scotland, so that might be why I hadn’t heard of them, Emmel. I do love them now!! Hi Christina…Sorry…crossed lines…I was just a little surprised that Shaun hadn’t heard of boxty whilst in Ireland….I realise it is more prominent in certain parts of Ireland…I wasn’t having a pop at anyone…keep the good recipes going..thanks..Emmel. 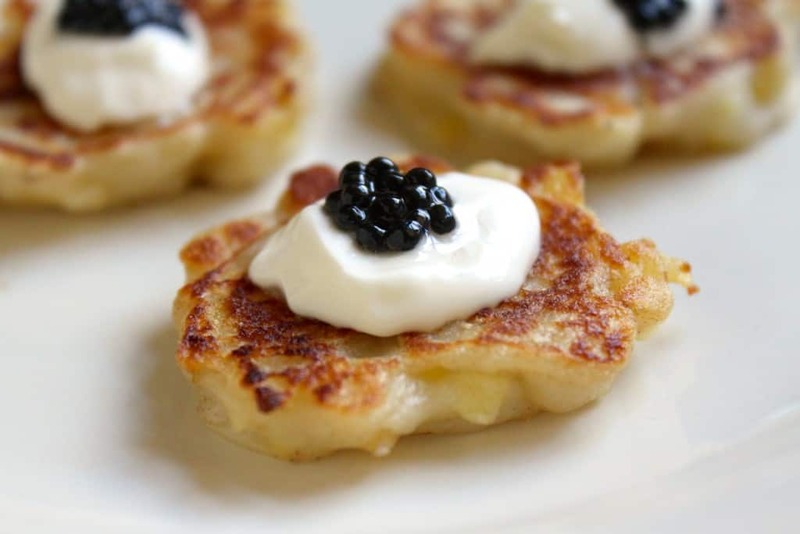 I came across this too I love potato pancakes, I eat mine with apple sauce, however I read further down where someone wanted to try them the syrup, go for it they are delicious with maple syrup, or blueberry, blackberry, even apricot, I love making mine with fried onions. So good… thanks for the recipe hope my tips can help too…these may be savoy but they work great as a subtle sweet. Thank you, Jolene! I think I’d like the fried onion option! Great idea! Somehow this came across this newsfeed, but I love the idea! YAY! They look scrumptious! I love the sound of these! I eat a plateful right now! 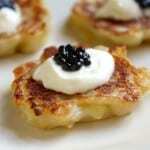 Just came across this post for “Boxty Potato Pancakes” . I would love to give them a ry as they ok very appetizing ! My question is the cooked mashed potatoes … Are they left over mashed with the butter and milk already in or just plain cooked boiled potatoes just mashed with no additions in? 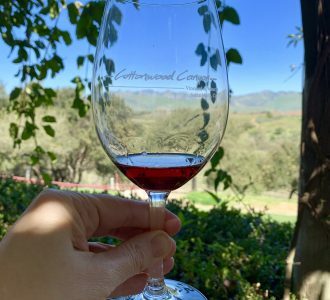 Christina, I love your posts and your recipes ….. Thank you for always being there with healthy, good suggestions! Hi Anna! Thank you so much for your kind words! Christina, I’ve never heard of these and they sound amazing! The texture looks divine — crispy on the outside and ever so fluffy inside. Perfect. Oh you must try them, Valentina! You’re such a potato lover, these are right up your alley! 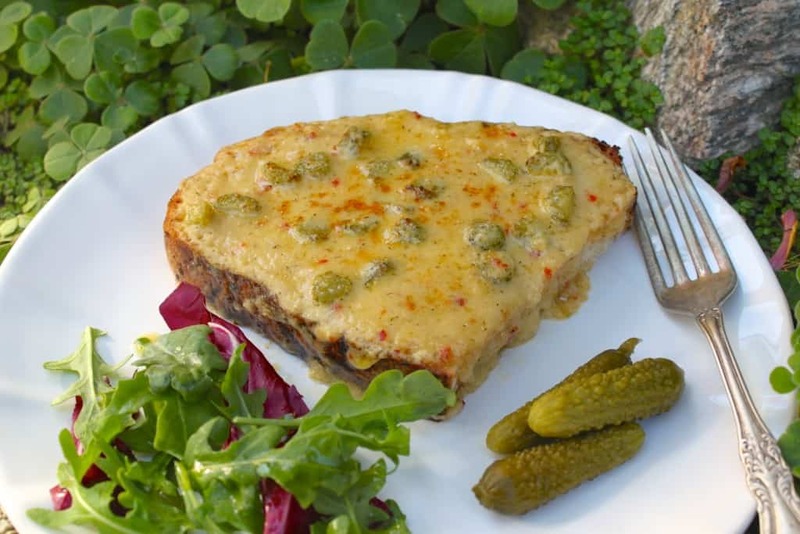 So funny, I was doing some research thinking I would do a St Patrick’s day post and I settled on Boxty, I saved a recipe that I found on some Irish website and it’s pretty much identical to the one you posted and gave different options for fillings. They sound delicious and we are on the same wave length. I think your boxty look fabulous and sound so delicious.